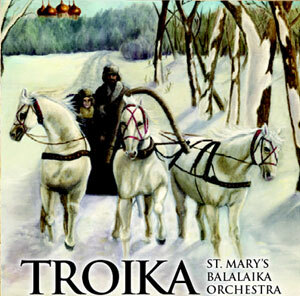 Become a Fan of St. Mary's Balalaika Orchestra on Facebook. 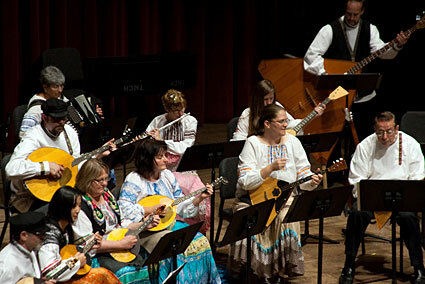 The balalaika (балала́йка) is a stringed instrument of Russian origin, with a characteristic triangular body and 3 strings (or sometimes 6, in pairs). 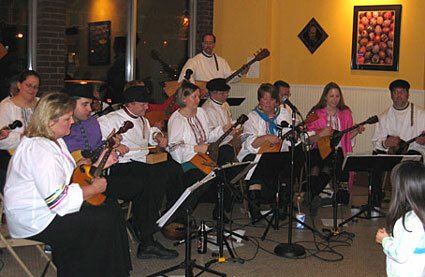 Interesting history and development of the Balalaika and Balalaika Orchestras can be found at http://en.wikipedia.org/wiki/Balalaika. 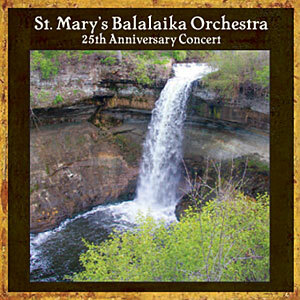 ** Our CD "St Mary's Balalaika Orchestra 25th Anniversary Concert" (see cover below), held in 2009, is available. 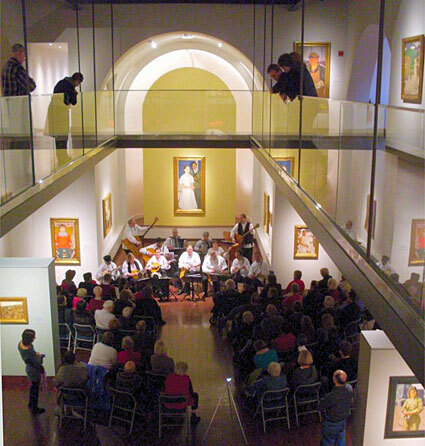 We welcome our special guests: The University of Wisconsin Russian Folk Orchestra, and their conductor, Viktor Gorodinsky. Selections include: Moldavian Girl, Fisherman's Revelry, Longing for Home (Russian March), Train to Odessa, Hej Sokoly (Polish Soldiers Song), Old Polka, and Brightly Shines the Moon. Those wishing to order a copy of either CD through the mail can send an email to [email protected]. The cost is $10.00 plus shipping and handling. 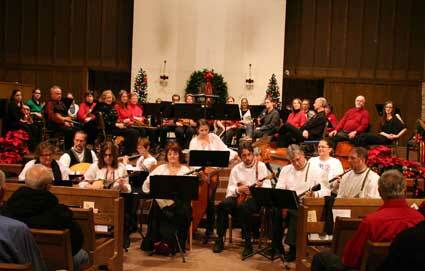 The sounds of traditional strings from Russia and Eastern Europe will have your toes tapping and your eyes weeping! 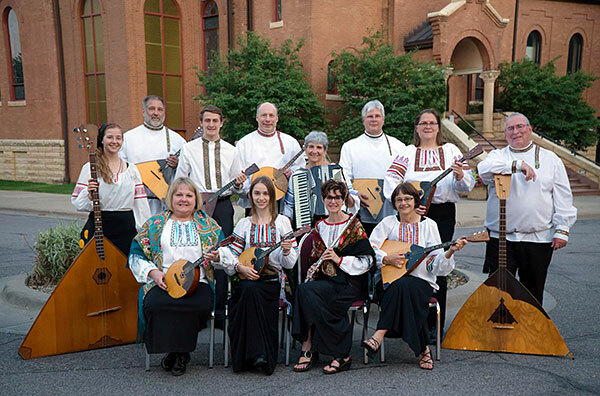 St. Mary’s Balalaika Orchestra, a group of parishioners from St. Mary’s Orthodox Cathedral in Minneapolis, play authentic balalaikas and domras creating a traditional sound from lands such as Russia, Ukraine and Czechoslovakia. Instrumentation in our orchestra consists of prima domra, alto domra, prima balalaika, alto balalaika, bass balalaika, accordion, vocals and some light percussion. 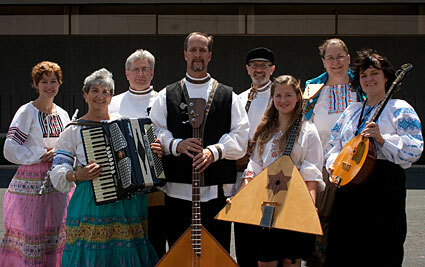 Familiar to many when appearing in popular culture, such as through the film Dr. Zhivago, the balalaika is a three stringed instrument with a distinctive triangular body. Various sizes of the instrument produce a range of notes. The sister instrument to the balalaika, the domra, can be three or four stringed and has a round shape. Like its counterpart, the domra also is crafted in several sizes providing for a range of sound. 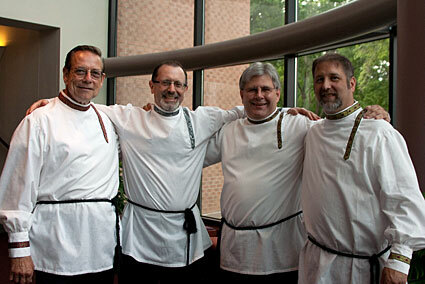 Members of the St. Mary’s Balalaika Orchestra find that their involvement with the group is an important way for them to share their love of Slavic music with each other, and their listeners. They also value the ability to preserve such an important part of their common heritage.